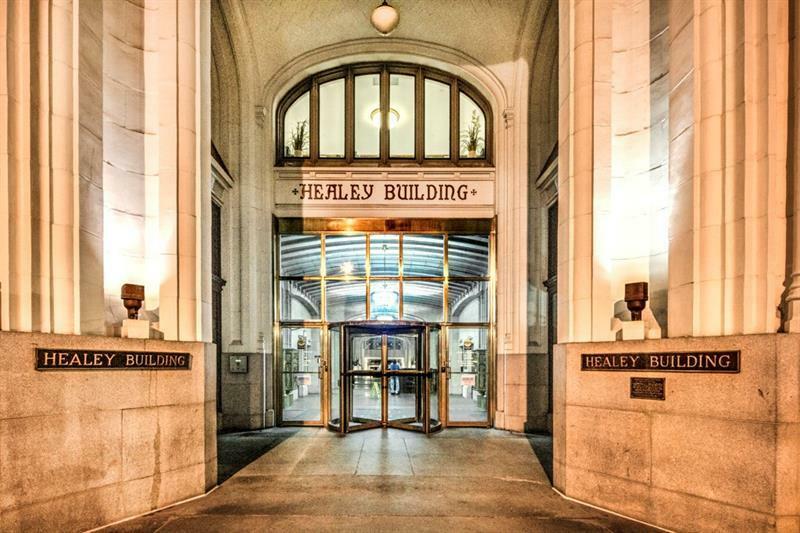 Luxury penthouse perfection in the historic Healey Building! 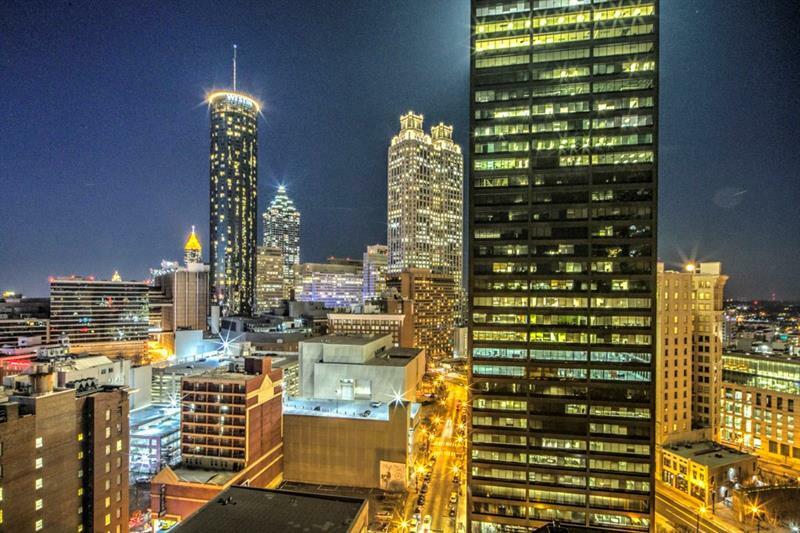 Total renovation w/sleek, high-end finishes & spectacular panoramic views of Atlanta. 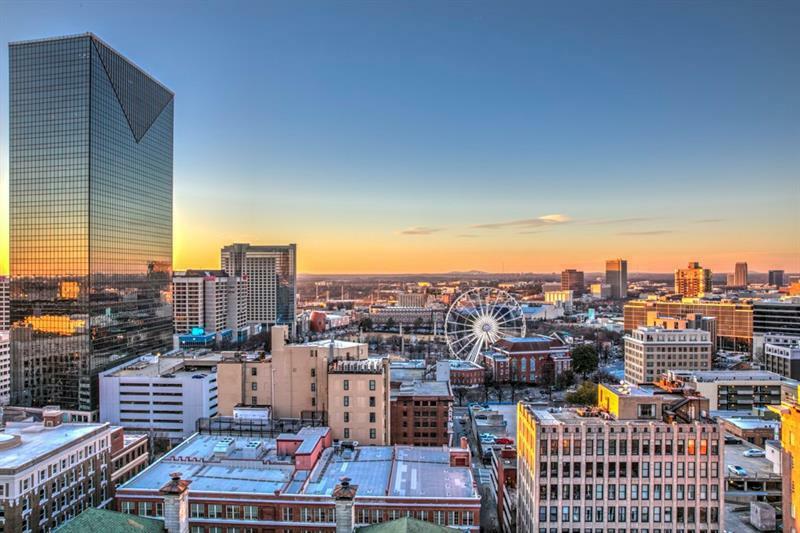 This downtown condo is an entertainers dream w/a chefs kitchen, a huge commercial grade bar, expansive dining room w/breath-taking views and a leather-walled ventilated cigar room. Entire condo is equipped w/home automation. 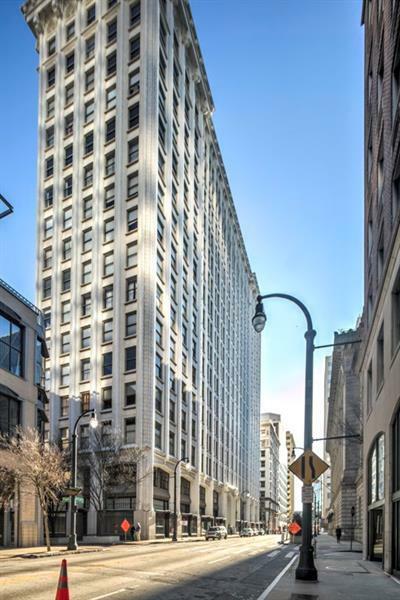 This rare 3/3 penthouse was featured in Atlanta Home Magazine & no detail was overlooked! Views from condo include:Skywheel, Mercedes Stadium, World of Coke, Capital Building,Aquarium,The Rialto + more!